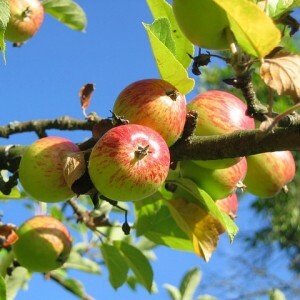 Malus is a sort of trees and bushes from the family of Rosaceae, which was called Rosales earlier. These are leaf-losing plants with spherical fruits (sweet or sweet-sour). There are about 36 official types of this plant. When you purchase the plant, think carefully, for what you get it? If the purpose is to grow it for food, what taste will be pleasant to you? Table apples happen firm and soft, purely sweet or to sourness. Universal grades are usually sourer, but suit also for processing. Also you should decide how the expected dimensions and forms of future trees "will fit" into your garden? (The sizes and force of a plant decide by a stock, that is the lower part of a stalk on roots on which the kidney or a shank imparted the grade elected by you.) You should remember about the self-sterility inherent in the majority of grades. It means that for fertilization they need pollen from the next Apple-trees.